Medigap is the name used for supplemental health insurance that is used to cover the “gaps” in Medicare. While Medicare covers many health costs, it does not cover all of them. Medigap policies are offered by private insurance companies. The policies help carry the costs of Medicare and pay your Part B bills, including copayments, coinsurance and deductibles. A Medigap policy is different from a Medicare Advantage Plan. Medigap eligibility. In order to be eligible for Medigap, you must have Medicare Part A and Part B. You’ll pay a monthly premium for your Medigap policy, in addition to the monthly premium that you pay for Medicare Part B. You can purchase Medigap policies from any licensed insurance company, and standardized policies are guaranteed renewable even if you have health problems. If you have a Medicare Medical Savings Account (MSA) Plan, you aren’t eligible to purchase a Medigap policy. Medigap policies do not cover long term care, vision or dental care, hearing aids, eyeglasses, or private nursing care. 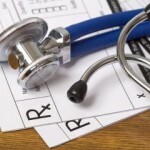 As of January 1, 2006, new Medigap policies cannot include prescription drug coverage, either. Prescription drug coverage can be obtained through a Medicare Prescription Drug Plan (Part D).